We have developed a proven process for developing your web project that assures a successful completion. Good communication, defining responsibilities, and check-ins are key in staying on time and on target. Our goal is for you to SMILE all the way through. 🙂 The following depicts a typical project. We look at your sales funnel and what you want to achieve. We try to understand your ideal client and how they buy. This is the start of your marketing & sales automation blueprint. What tools are you current using? We will review platforms with you and help you come up with affordable options. 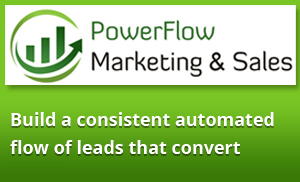 This may include some automations from your website and some from a 3rd party services. Other integrations such as calendars, online chat and surveys are considered too. Here comes the fun! Let’s get clear on the steps to create a streamlined automation that meets your goals. Planning a good workflow involves thinking about steps to build a relationship towards your main offer. This can also include onboarding and internal notifications to sales people and administrators. It’s exciting to see what can be automated to save your organization time. Be compliant with the legislation. Review CASL compliance and adding this into workflow is a must for your business. You need to consider which markets you sell into in addition to your host country. We will help you navigate this. Here we will take you through our process to obtain the content we need for all your forms, web pages, messages and emails. A review of best practices will guide you. After we have the content, we can start designing the pages with forms and to allow for sign-ups on your website. As we move through planning workflows, this leads to thinking about what data you want to be collecting for your contacts and when. Many automation platforms include a CRM that can track leads and opportunities for your sales team. Birthdays, where they found you, and tags are all possible. Often this step is required to clean up your list to meet your new needs or CASL regulations. You may want to put all your contacts in a spreadsheet and categorize them by various elements. We will guide you through this so we can upload a clean list that you can use and that gets maintained through your automations. It's time to get your accounts set up so we can get in there and play! Using your marketing & sales automation blueprint that has been completed through the process, our tech team uploads your contacts, sets up email templates, workflows, triggers and all that fun stuff. Our programming team will add in tracking codes on your forms and pages and test. Try out the automation yourself on the site. We always recommend setting up a test list first to catch any final mistakes for an email. Double check your links and telephone number! View it on multiple devices and mobile. Now that everything is set up and tested, it's time to send out a campaign. It's an ongoing process to fine-tune your campaigns and A/B test to increase conversions. At this stage we may consider A/B testing and improvements for deliverability. There are many moves in the game of marketing. Have fun!